| Crack the egg! Creating writing that surprises you. Venture deeply into your experience and your imagination, telling it in your voice. Start to write, and you immediately grasp a simple and powerful provocation that can awaken you to the most creative and imaginative part of your mind. You discover that you are floating above a world that you didn’t know was there in you. Your world expands, and you expand with it. This workshop is about discovering your world by venturing deeply into both your experience and your imagination and telling it in your voice. 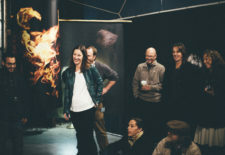 The class gives you the framework, discipline, and stimulus, using a unique mix of theater games, creative awareness exercises, and writing prompts that are designed to take you directly into the creative state. Then you write it all down! And by sharing what we write with others you get to hear your own voice. The work is intensely focused on unencumbered seeing and full expression. The point is less good writing than writing that is alive. Good will follow. For anyone who has read some novel or poem, been knocked out by it and wondered ‘Could I do this?’ You’ll find your answers here. 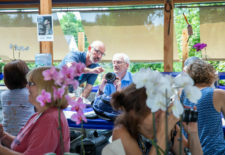 This is a workshop for photographers, artists, and creative people of any kind…including readers. You won’t leave with a novel. But you will leave with writing that surprises you, and opens up intriguing new creative paths for you. Sean Kernan published his first poem when he was 16, and he decided that if it was that easy he’d just go ahead and be a writer. Then he somehow deflected into theater and photography. But he always maintained some kind of writing practice throughout. In college he worked as a reporter for the New Haven Register and a bureau assistant for the New York Times. Later he produced a series of articles and interviews on photography and a number of columns on the problems of creativity in the workplace for Communication Arts Magazine. He also became a pioneering teacher well known for investigating creativity in various disciplines, and based on this work he authored Looking Into the Light. He has published two monographs of photographs, The Secret Books (with Jorge Luis Borges) and Among Trees, (introduction by Anthony Doerr), and has produced a film, Crow Stories, about life on the Crow Reservation. He has taught and lectured at Parsons School of Design, Art Center College of Design in Pasadena, Maine Media Workshops and Santa Fe Workshops, University of Texas, and Yale Medical School. 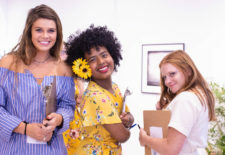 He has exhibited internationally and won numerous awards, including Center’s 2010 Teacher of the Year and an honorary doctorate from Art Center College of Design. In this workshop we cultivate a field of kindness toward ourselves and our imperfect lives so that we can write what disturbs us, what we fear, and what we have not been willing to speak about. The course will involve sitting meditation, slow walking, and plenty of timed writings, as well as book discussions and space for deep listening—to yourself and others—in small and large groups. Bring fast writing pens, notebooks, and beginner’s mind.